PURPOSE: Use this document as a reference for viewing and comparing Person Profile information in ctcLink via Manager Self Service. ADVISORY: The employee must have an existing Person Profile in Workforce Development in order to view this information in Manager Self Service. Contact your HR Administrator for assistance. Person Profiles are created in the Workforce Development module by the HR Department. To view the Person Profile for a specific employee follow these steps. Click the Select button, next to the desired employee's name. Click on the Person Profile hyperlink (bottom right corner). Select a Profile Action from the lookup option. There are eight (8) category tabs related to Profile Information click the tab name to view the content of each category. 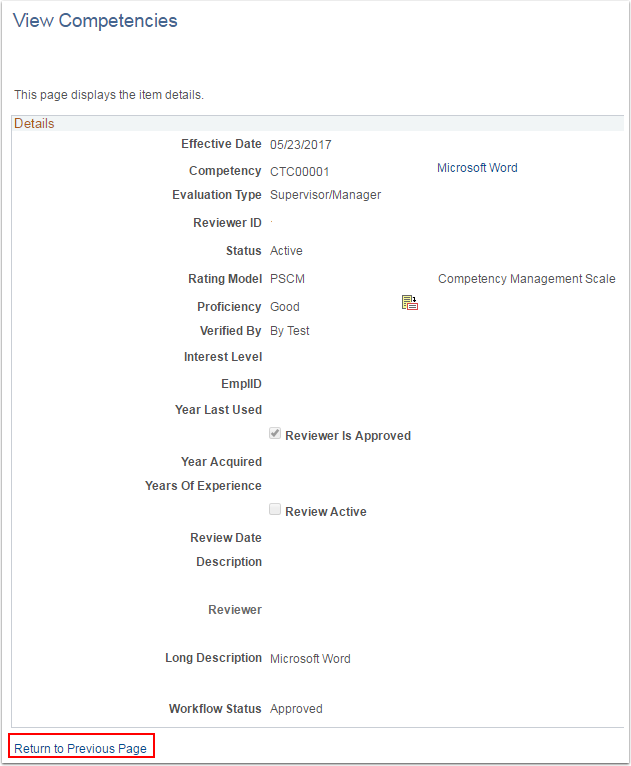 For this example view the Competency and Education tabs. Click the Competency link to view the details. Click Return to Previous Page. 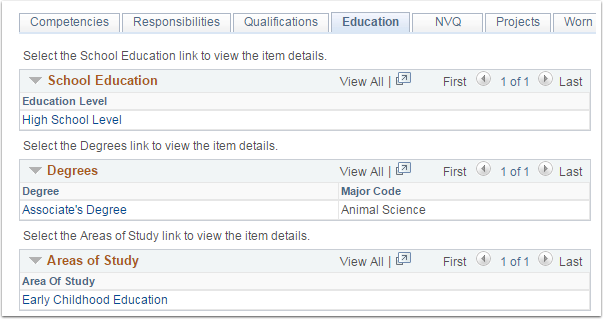 Click the Education tab, to view the Education Level, Degree(s), and Area(s) of Study. Click each link to view the details. Repeat this for each desired category/tab. 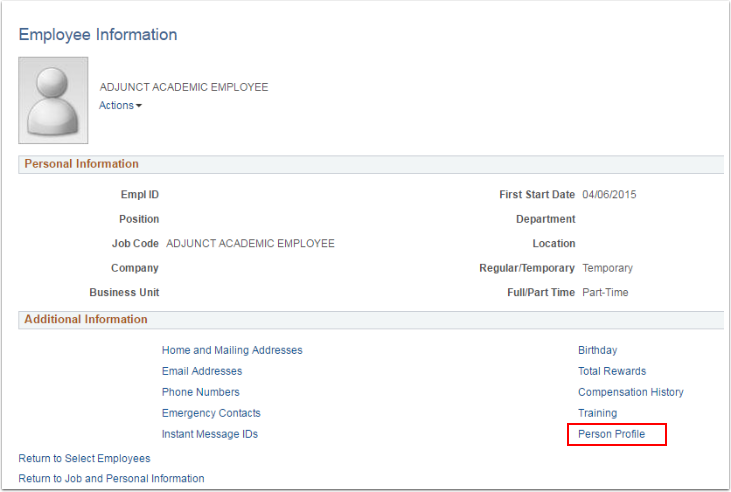 To go back to the employee's personal information page, click Return to Previous Page. Congratulations you have successfully viewed an employee's Person Profile!! !